The intelligent storage of renewable energy/electricity sources may well be the future of greater energy independence, at least in the shorter term. Many developers are now beginning to produce digital technologies that monitor energy usage and combine that with power production to make sure that electricity is available as and when needed. These developments will be as relevant for domestic consumers as is already the case for industrial energy providers and users. It has long been recognised that, in an average home where everyone is working, more power is used in the morning and in the evening than during the day. Businesses will have other peak demands that will benefit from a more controlled energy storage system. Batteries with a much longer lifespan and better capacity are now in the pipeline. They will also help make the break from a total reliance on the National Grid and lead society, as a whole, to more independent electricity production options. In the immediate future it may well be the case that domestic users will need a hybrid mechanism that stores electricity but also has access to the National Grid. That will reduce the amount of electricity that requires a payment to the utility companies but will also require the development of further technology to make this work, from all parties’ point of view. In the longer term, the situation may well arise where localised energy storage will indeed mean that many domestic and industrial users of electricity can become independent of the National Grid. The question will then be one of how the installation is funded and whether universal access can be created, which means we all benefit from clean energy that is homemade. Current renewable electricity options include wind, solar and hydro. However, they do not constitute constant and 24:7 dependent energy sources. The wind blows intermittently, the sun does not shine during the hours of darkness and water flow rates are wholly dependent on weather patterns. However, important changes in the provision and consumption of electricity services are now underway. A variety of emerging distributed technologies: including flexible demand, distributed generation, energy storage, and advanced power electronics and control device are creating new options for the provision and consumption of electricity services. At the same time, information and communications technologies are rapidly decreasing in cost and becoming ubiquitous, enabling more flexible and efficient consumption of electricity, improved visibility of network use, and enhanced control of power systems. Research undertaken at the Massachusetts Institute of Technology (MIT) has confirmed that smarter consumption of electricity and, where cost-effective, the deployment of distributed energy resources, could deliver very significant savings by improving the utilisation of electricity infrastructure. Increasingly affordable information and communications technologies (e.g. advanced meters or interval meters) enable detailed monitoring of electricity withdrawals and injections and therefore facilitate more efficient prices and charges. Without more accurate consumption and injection data from all customers, it is impossible to capture the full value of electricity services. But, where renewables are concerned, developing new and efficient storage systems are regarded as the critical pathway to the development of the sector. The availability of low-cost, high-capacity energy storage technology could profoundly change today’s energy landscape. The ability to store electricity when supplies are abundant and deliver it later when they’re not, would permit widespread use of intermittent sources such as solar and wind; would ensure efficient, reliable power delivery by both central and distributed grids; and would make possible portable energy storage for developing nations and for mobile industrial operations. Different storage technologies are used in electric power systems. They can be chemical, electrochemical, mechanical, electrical or thermal. 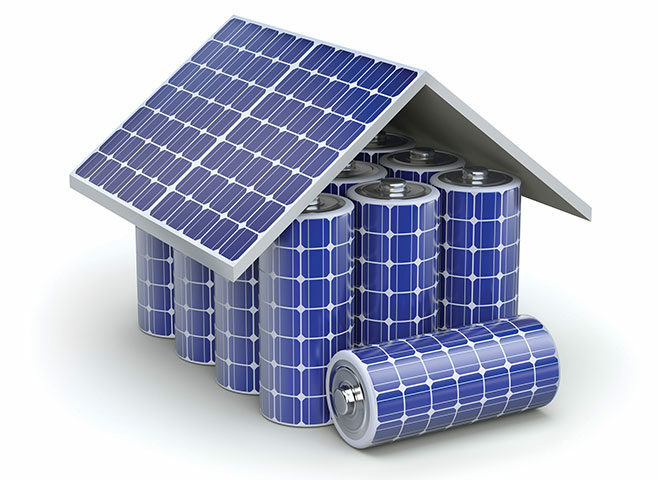 An energy storage facility is comprised of a storage medium, a power conversion system and a balance of plant. Electrochemical systems such as batteries and fuel cells seem promising candidates for future energy-storage applications. They can be sited wherever they’re needed, and they can be discharged and recharged quickly and efficiently. Coupled with a solar or wind farm, for example, they could store electricity when the sun shines or the wind blows and then deliver it in minutes when the day gets cloudy or still. But the best-performing electrochemical devices typically can’t provide large storage capacity at a reasonable cost. A truckload of lithium ion batteries, for example, can provide plenty of power, but the cost is too high. In the search for large-scale electrochemical devices, much attention has focused recently on systems using hydrogen and bromine. This combination of reactants offers several attractive features. Bromine is inexpensive, readily available, and abundant compared to storage options such as lithium. Bromine is also very “electro-negative,” meaning that it really wants to pick up another electron; and hydrogen is happy to provide it. Chemical reactions between them, therefore, occurs extremely rapidly—much faster than the hydrogen-oxygen reaction in most high-capacity electrochemical devices such as fuel cells—and large amounts of current flow when the electrons are forced to move from the hydrogen to the bromine through an external circuit. The availability of low-cost, high-capacity energy storage technology could profoundly change today’s energy landscape. Ongoing work at MIT is seeking to perfect a commercial version of the hydrogen bromine device and the progress achieved to date has been significant. Compressed Air Energy Storage (CAES) refers to a process in which energy is stored in the form of high pressure compressed air. A CAES system can be built to have power scales from a few kilowatts to over a few hundred megawatts and energy charge and discharge durations from a few minutes to a few days with moderate response time and good partial-load performance. Any CAES installation refers to the establishment of a system integrating different interacting components, devices, and processes. The common components of a CAES system must include compressors, expanders, and an air storage reservoir. The rest of the system components depend on the system structure and operation principles. Thermal energy storage (TES) includes a number of different technologies. Thermal energy can be stored at temperatures from -40°C to more than 400°C as sensible heat, latent heat and chemical energy (i.e. thermo-chemical energy storage) using chemical reactions. Thermal energy storage in the form of sensible heat is based on the specific heat of a storage medium, which is usually kept in storage tanks with high thermal insulation. The most popular and commercial heat storage medium is water, which has a number of residential and industrial applications. Underground storage of sensible heat in both liquid and solid media is also used for typically large-scale applications. However, TES systems based on sensible heat storage offer a storage capacity that is limited by the specific heat of the storage medium. Phase change materials (PCMs) can offer a higher storage capacity that is associated with the latent heat of the phase change. PCMs also enable a target-oriented discharging temperature that is set by the constant temperature of the phase change. Thermo-chemical storage (TCS) can offer even higher storage capacities. Thermo-chemical reactions (e.g. adsorption or the adhesion of a substance to the surface of another solid or liquid) can be used to accumulate and discharge heat and cold on demand (also regulating humidity) in a variety of applications using different chemical reactants. At present, TES systems based on sensible heat are commercially available while TCS and PCM-based storage systems are mostly under development and demonstration. Meanwhile, The European Association for Storage of Energy (EASE) and the Joint Programme on Energy Storage under the European Energy Research Alliance (EERA) have come together to draft an updated Energy Storage Technology Development Roadmap. Alongside other flexibility options, energy storage will play a crucial role in the transition to a low-carbon energy system. The IEA estimates that limiting global warming to below 2°C will necessitate globally installed energy storage capacity to increase from 140 GW in 2014 to 450 GW in 2050. This threefold increase is necessary because energy storage can support the EU’s plans for Energy Union by helping to ensure energy security, a well-functioning internal market and helping to bring more carbon-cutting renewables online. By using more energy storage, the EU can decrease its energy imports, improve the efficiency of the energy system and keep prices low by better integrating variable renewable energy sources.